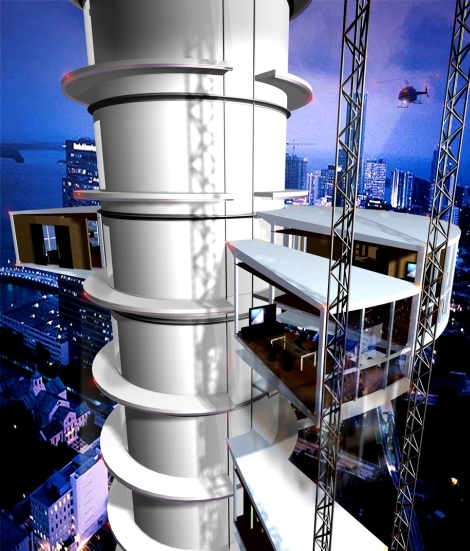 Florence based Israeli born architect David Fisher is making history with an outrageous and earth conscious concept in building that he calls the "dynamic towers." 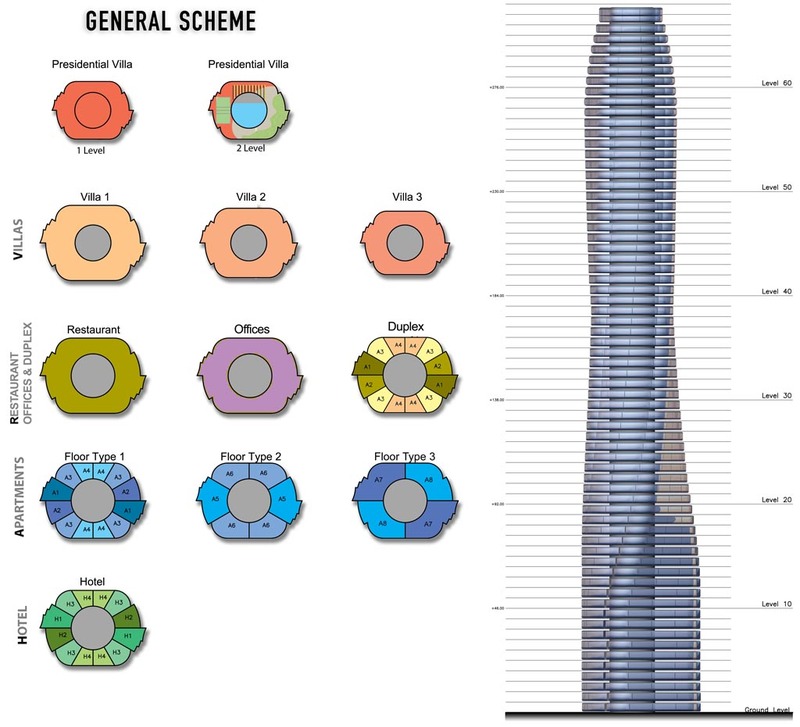 Set for Dubai (Dynamic Group) and Moscow (Mirax Group) by 2010, Fisher's towers will be rotating 70 (Moscow) and 80 (Dubai) story structures rotating on a concrete core, propelled by wind energy and the 70+ wind turbines integrated into the futuristic design. The outrageous structure is anticipated to run $700 million and will cost a pretty penny if you want to own a piece of history - $3000/sq. foot to be exact. 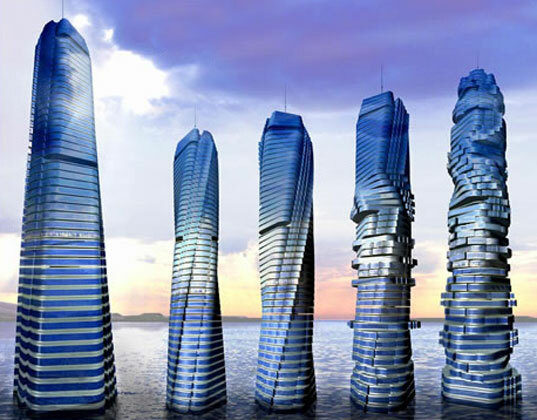 No doubt with all the wealth circulating in Dubai and Moscow - the outrageous green towers will be a sure sell out before they break ground. Here is a video report on the construction, courtesy of Reuters.